Well November is here and winter is upon us! Temps have dropped and we have seen a couple of good snow storms. Pray for heavy snow this year, we need it! 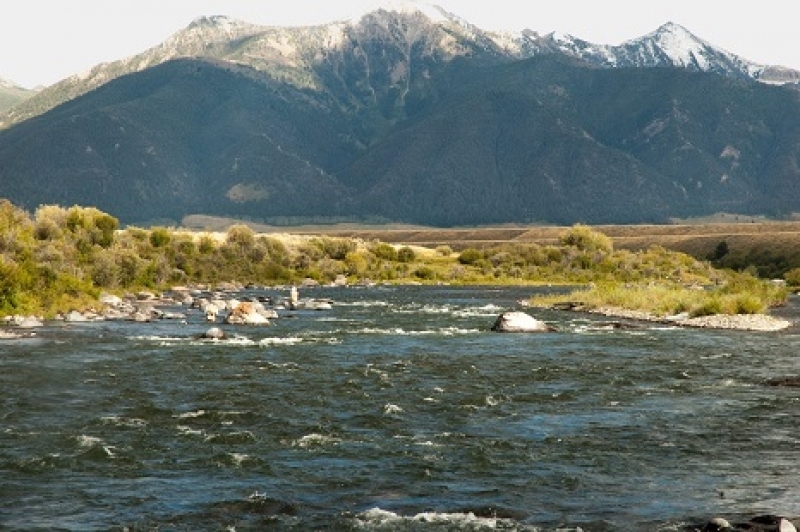 What a great year we have had at Henrys Fork Anglers! Lots of very happy smiling guest have come through the door at the end of the day! For me personally I don’t think I could have landed at a better place. It’s been a pleasure working with, in my opinion probably the best guide staff in the country. There is nowhere else that I can think of where you will find a more experienced staff than here at Henry’s Fork Anglers. A good number of the guide staff has been here for thirty plus years. I have also been very impressed with the professionalism of the staff here and their willingness to share knowledge with the younger guides. Many times in the morning before our guests showed up I noticed guides sharing information such as what sections were fishing hot and what flies the trout were eating in different sections of the river. Many times in the morning I saw guides sharing knowledge with one another around the bird feeder (fly display). I think it’s great to see. 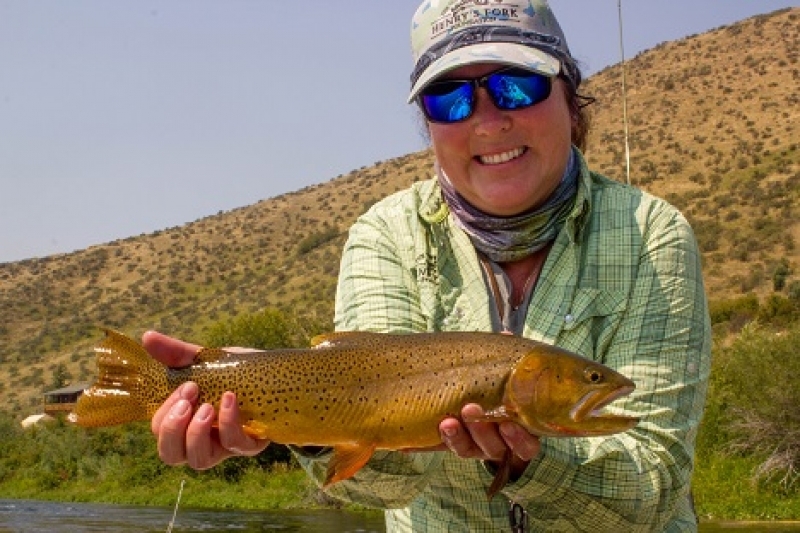 Also in a time when it seems “cool” for guides to look like they just climbed out of a gopher hole or slept on a pool table, our guides at Henrys Fork Anglers come to work sober and ready to work. It really has been a pleasure for me to be a part of such a great team. Until very recently both Henrys Lake and Island Park Reservoir had been fishing great! Ice has appeared around the edges of both these lakes making access difficult. I am thinking the ice is here to stay so until they freeze hard I would avoid the lakes. The Ranch is fishing better than it has all year. Fish are cruising in pods and we are seeing great hatches of midges and a few Blue Wing Olives are around. I have doing well with a #18 Griffith Gnat and fishing a #18 No Hackle will also get the attention of the finicky Rainbows of the Ranch. The Ranch section of the Henrys Fork is about to close for the season so get up here and get your Ranch fix before it’s closed for the year. The Box is fishing very well right now! I would focus your efforts around the dam. Lots of large trout have moved up and are not shy when it comes to chasing sculpins and other baitfish. Lawson’s Hen Saddle Matuka as well as wool head sculpins have been turning lots of larger rainbows in the Box. Don’t forget to have some #16 Two Bit Hookers with you and #16 and #18 Zebra Midges. Also #16 Pheasant tails and #12 Black Rubber Legs have been working well. Streamers are the ticket in the Warm River to Ashton section. Large fish have been chasing streamers! A Crystal Zonker has been the ticket. Lawson’s Olive Wool Head Sculpin and the Bling have been turning a few nice fish. There have also been fish up eating midges mid-day so having some #18 Griffith Gnats is a good idea. #10 Brown or Black Rubber Legs followed by #16 Red or Green Zebra Midges will also serve you well in this section. Stick to the streamers! Large trout on are the hunt! Winter is coming fast so trout are looking for protein. Sculpin patterns are always a good idea in this part of the Henrys Fork. I think to be successful with streamers a good selection of colors and patterns is a good idea. Try varying your retrieval speeds and keep changing colors until you find the “magic”. 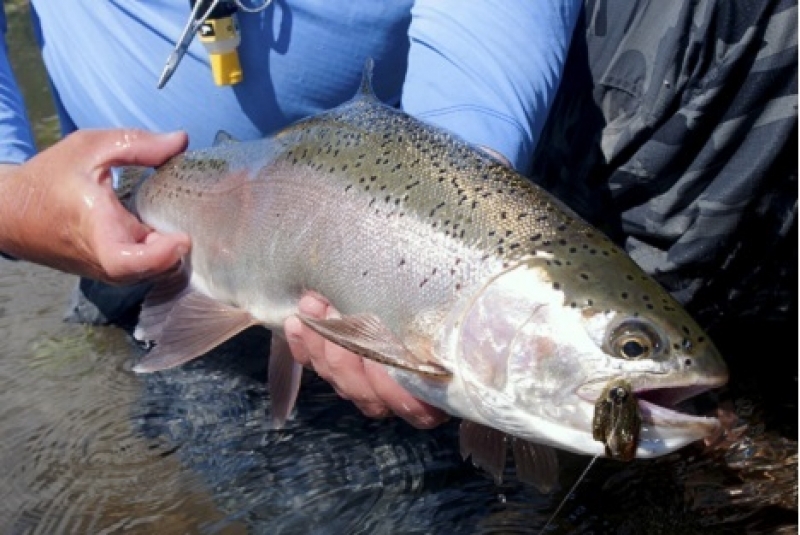 Look for pods of trout in the back water sections to be eating midges. Harriman State Park will close on November 30th from the upper boundary or Log Jam to Riverside. Ashton Dam to Vernon Bridge will also close November 30th. The Idaho Fish and Game has not firmed up regulations just yet to stay tuned for any changes. 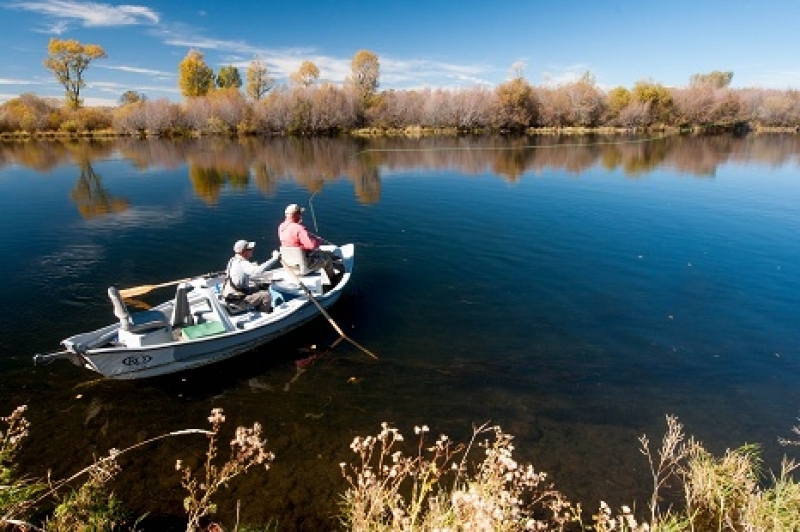 The Teton continues to fish well, as water temps come down focus on the deeper slower water. Plenty of Cutties are still up and eating Midges in back waters and dumps. Also fishing wooly buggers on the Teton is a good idea. A Halloween or a plain White Wooly Bugger will work well this time of the year. I would also have a good selection of small bead heads. #16 Two Bit Hookers and Zebra Midges just to name a few. The South Fork is a lot of fun this time of the year. Flows are down and the river is much more wader friendly. 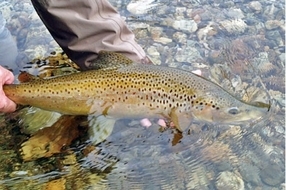 Use caution when wading the South Fork as Brown Trout spawning reds are scattered throughout the river. Look for the clean spots, they are easy to spot and you should avoid walking through these areas. As far as patterns go this time of the year midges and streamers. Look for greedy Cutthroat Trout slurping midges on the riffles and don’t be afraid to strip a streamer though the shallow riffles or off a drop. As always have plenty of small bead heads with you. The Madison has been amazing for the last couple of weeks! Lots of large Brown Trout being caught and very little pressure! Peach Glo-bugs and #16 Red Zebra Midges have been the ticket on the Madison. Don’t forget to bring streamers with you! Gold Lil Kim’s and Olive Slump Busters have been working very well.